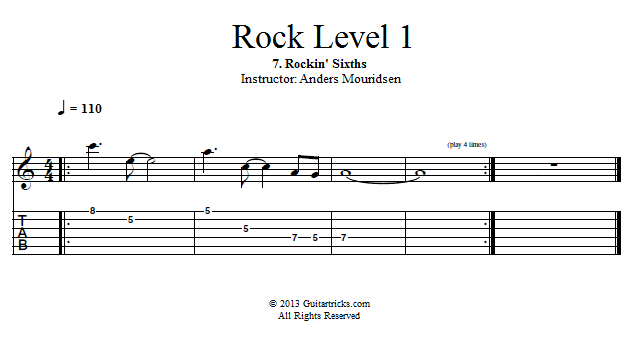 In this lesson I'll show you how to use the 6th intervals in a rock context. As always, we'll find the basic intervals in the major scale pattern and then move them up 3 frets for the minor sound. Then I'll show you a lick that employs these intervals, and finally we'll try improvising with this lick.